Become an instant astronomer, even if you ve never used a telescope before, with the one-of-a-kind StarSense AutoAlign. Just set up the accessory, push the Align button on the hand control, and StarSense begins capturing and comparing images of the night sky against its internal database. In about three minutes, it's gathered enough information to triangulate its position and align itself. Then, press the Sky Tour button: StarSense will automatically slew to all the best stars, planets, galaxies, and more currently visible in the night sky. Before StarSense, using a computerized telescope required a lengthy alignment process of finding and centering at least two bright stars in the telescope s eyepiece. But StarSense automatically aligns itself with minimal user input. Just enter your time, date, and location and let StarSense do the rest! 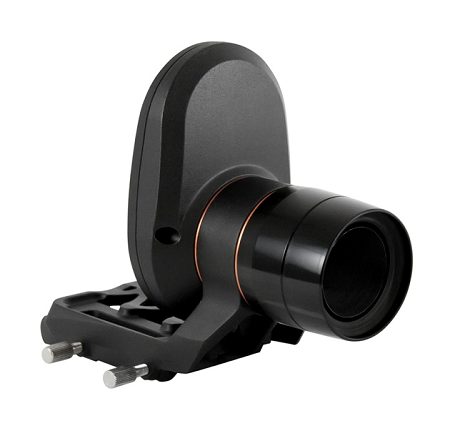 With built-in mount modeling, you'll get superior pointing accuracy from horizon to horizon. When your alignment needs to be perfect, add up to 10 additional calibration stars to achieve a new level of accuracy, great for locating objects in the camera s field of view for astroimaging.